On September 9th, 2018, at approximately 5:43 p.m. EST; GMT-4 time, the SEC tweeted out that it had officially suspended trading for the Bitcoin Tracker One (“CXBTF”) and Ether Tracker One (“CETHF”). If you viewed the tweet, you more than likely observed a link that was attached as well. It’s worth noting that this initial suspension is only ‘temporary’ in nature and that this temporary period is designated to only last approximately 11 days. Now, let’s take a look at the rule that was cited by the SEC. 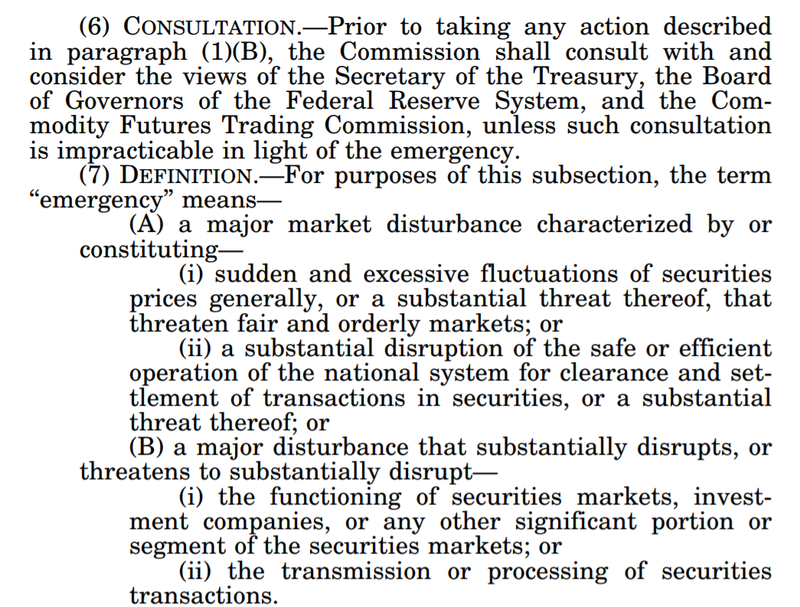 Specifically, they stated, “pursuant to Section 12(k) of the Securities Exchange Act of 1934”. 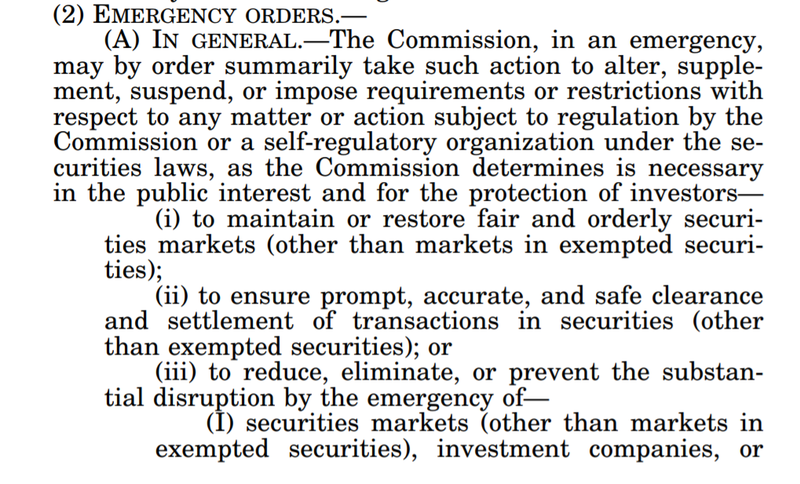 Below, is a link to the full text of the Securities Exchange Act of 1934. Section 12(k) can be found on page 120. There was a lot that was stated above, but fortunately, Investopedia does a great job at summarizing exactly what conditions tend to lead the SEC to issue an emergency suspension. 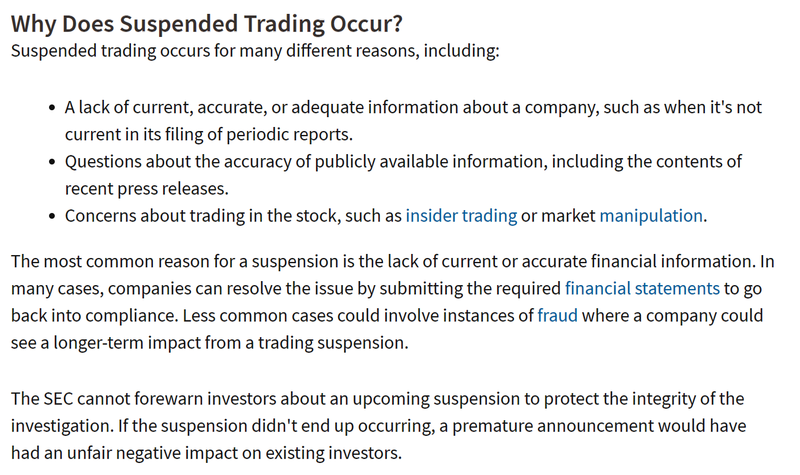 Suspended trading usually happens because of a) a lack of current, accurate, or adequate information about a company b) questions aboutt he accuracy of publicly available information and/or c) concerns about trading in the stock, such as insider trading or market manipulation. All of the above are reasons why Bitcoin investors should be concerned. Given the suddenness of the announcement on a Sunday (government employees in the United States do not usually work on Sundays), as well as the two firms named in connection to Bitcoin, this is something that warranted further investigative digging. What Were the Products in Question That Were Suspended? The two financial products that were suspended were “Bitcoin Tracker One (‘CXBTF’) and Ether Tracker One (‘CETHF’). You’re right, there aren’t. 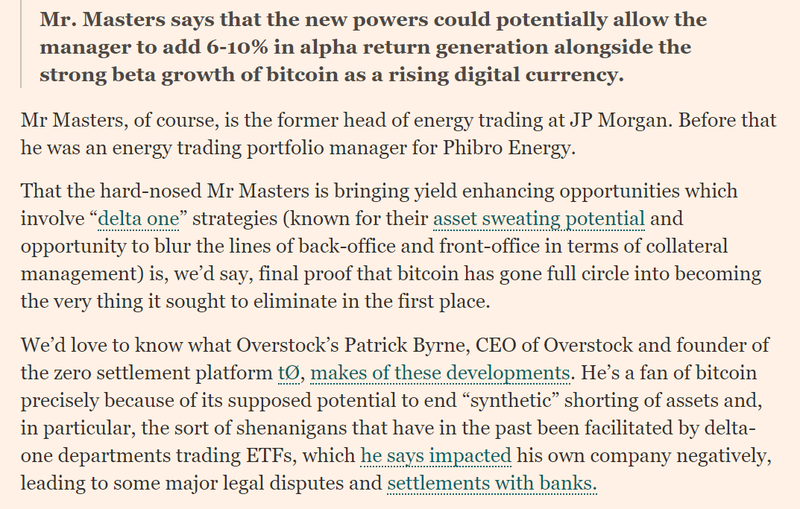 What they are is a ‘backdoor’ attempt at allowing investors on the exchange markets to be able to purchase Bitcoin and Ethereum. 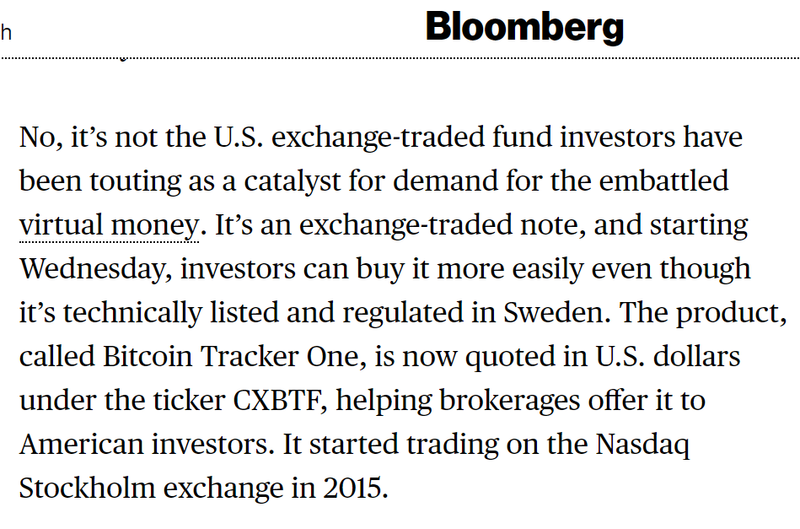 This Bloomberg article here summarizes the gist of the products perfectly. The paragraph above pretty much sums up the ‘gist’ of what this product is (their ETH version works pretty much the same). Instead of vying for a formal ETF listing on the American markets, it appears that the creators of this product have decided to instead allow investors in the country to mimic the purchasing of Bitcoin in the stock market via exchange traded notes. It should be noted that these notes would never be able to be traded with the physical bitcoins themselves, which is probably (one of) the reason(s) for the suspension of the two financial products. 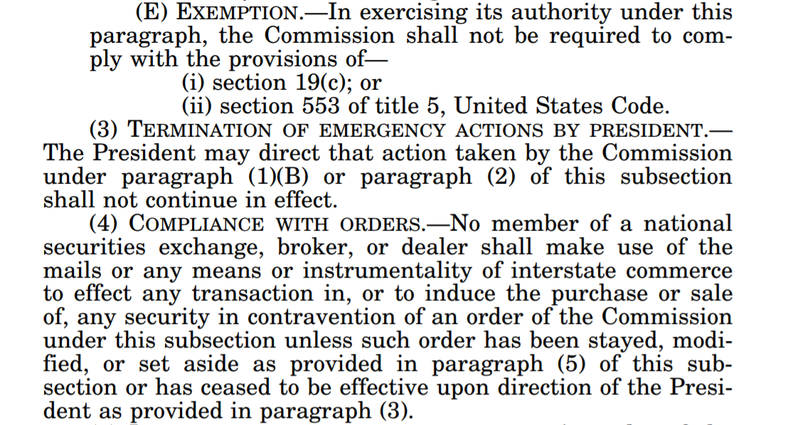 The first issue that probably got the SEC’s attention was the fact that this was clearly an ETF disguised as an ETN. The offering was not a structured note. Per Investopedia, “All strucutred notes have two underlying pieces: a bond component and a derivative component. The bond portion of the note takes up most of the investment and provides principal protection. The rest of the investment not allocated to the bond is used to purchase a derivative product and provides upside potential to investors. 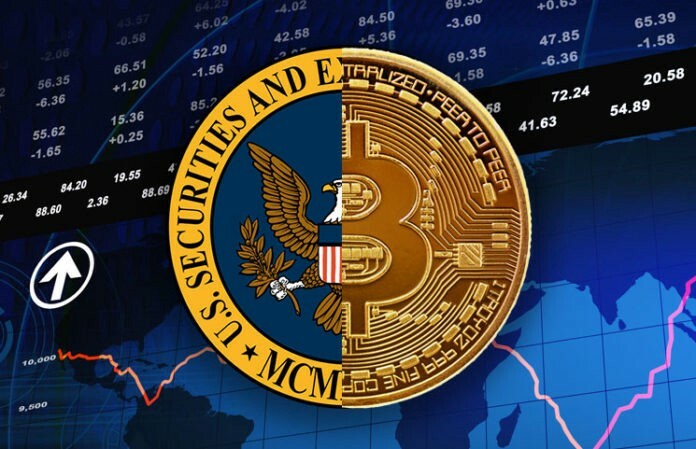 The derivative portion is used to provide exposure to any asset class.” The exchange traded notes that the SEC are addressing in their letter only allowed individuals to purchase a stake/portion of Bitcoin through the traditional stock market. There was no ‘bond component’ in the offering. The value of the ETN was something that fluctuated in price throughout the day. This is not something that is characteristic of an ETN, but rather an ETF. The offering was clearly, in a structural sense, no different than what one would expect out of a Bitcoin ETF. Given the above facts, we know some of the reason/have a sense of why the SEC suspended trading of these products. However, we still don’t quite have the reason. 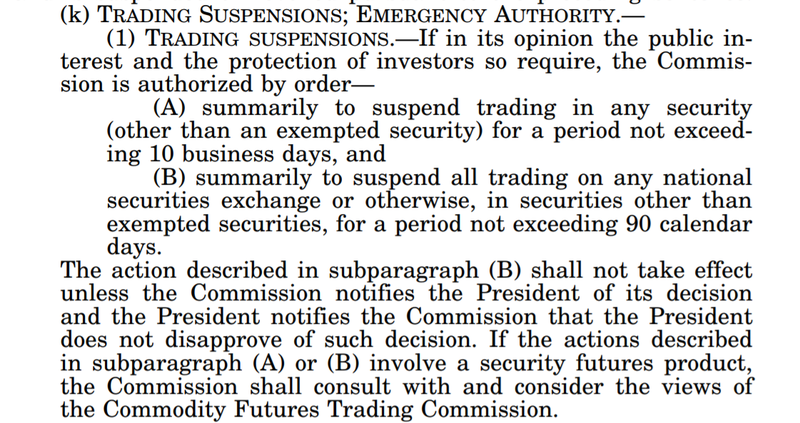 As the Investopedia article stated, the SEC usually won’t issue an emergency suspension of trading unless the SEC feels that it is absolutely imperative to do so in order to prevent a massive loss of investor funds. So, the next question is — who are the individuals that launched this fund? Who is Behind the Swedish ETNs? So, our first lead = CoinShares Holding Ltd. This company was started by an individual named, Daniel Masters. More or less, the information that you see above about Daniel Masters is probably the full extent of what you need to know in order to be fully informed on his involvement. Now, let’s pivot back to Coinshares Holding Ltd. 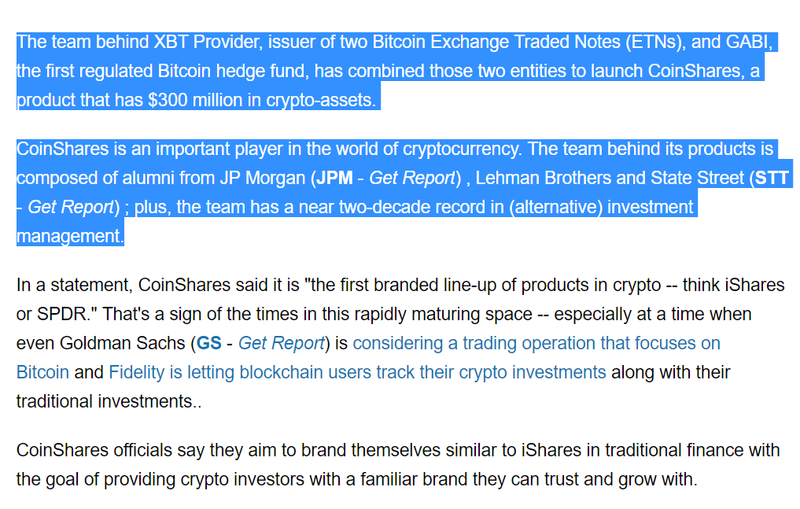 The involvement with Coinshares Holding Ltd., and the two Swedish ETNs in question in this article began with their acquisition of XBT Provider. An article from globenewswire* details this acquisition. For verification of credibility, it should be noted that GlobeNewsWire is an American company, HQ’d in L.A., California. It is currently established a ‘NASDAQ OMX Group subsidiary’. 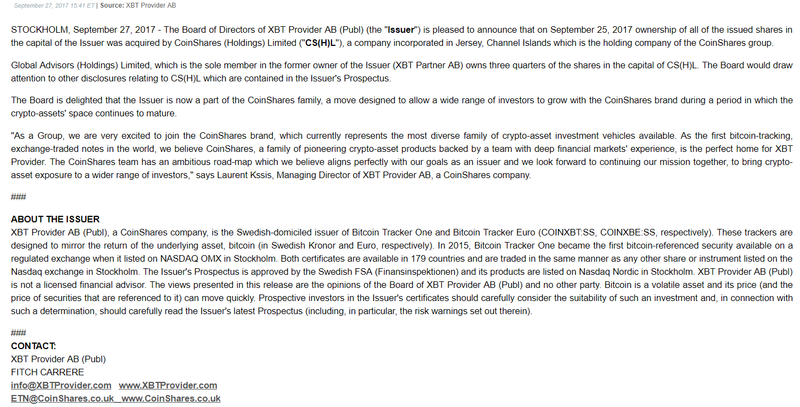 “The Board of Directors of XBT Provider AB (Publ) (the “Issuer”) is pleased to announce that on September 25, 2017 ownership of all of the issued shares in the capital of the Issuer was acquired by CoinShares (Holdings) Limited (“CS(H)L”), a company incorporated in Jersey, Channel Islands which is the holding company of the CoinShares group. In order to tie this together to the fullest extent, however, we must look at the investment of GABI. Who is GABI and Why Are They of Any Importance? An article from TheStreet sums up this purpose for us perfectly. GABI is noteworthy because it is one of the two subsidiaries under CoinHoldings Ltd.
What does GABI stand for? 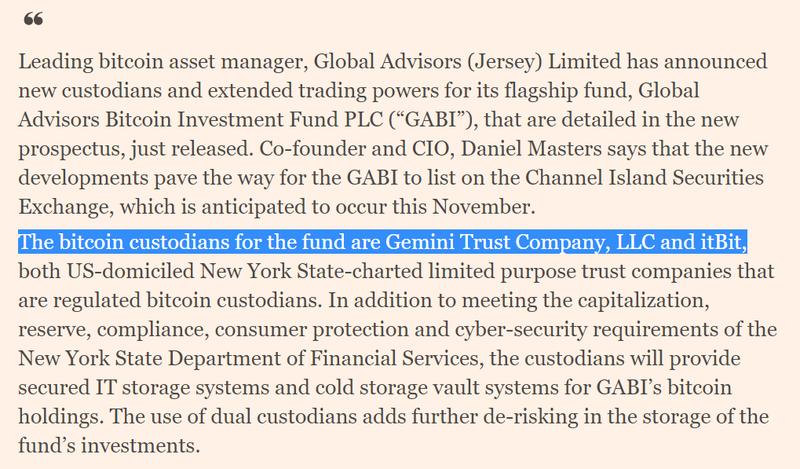 GABI stands for the Global Advisors Bitcoin Investment Fund. The above excerpt is important because it at least speaks to the idea that GABI/Daniel Masters have had some issues in the past with banking. This is not to say that something nefarious, specifically, was done on behalf of the organization, but it is something that’s worth noting. In order to get a better idea of the company, Coinshares Holding Ltd., it is best to understand who its custodians are as well. What is a Crypto Custodian? So, as you see above, there’s good reason for us to wonder about who is the custodian of Coinshares’ assets when considering the fact that they are offering investors an opportunity to purchase ETNs that may allegedly be traded 1:1 with the equivalent value of Bitcoin or Ethereum that was purchased. Further research on this issue has confirmed that Nomura Group, in partnership with Coinshares and Ledger have developed a partnership premised on a custody arrangement of some sort (the details have not yet been released). Further investigation, however, is where this gets interesting — because the above information just notes GABI’s intention to become a custodian in 2018. But who have been their custodians up to this point? An article from FT may hold the answer. 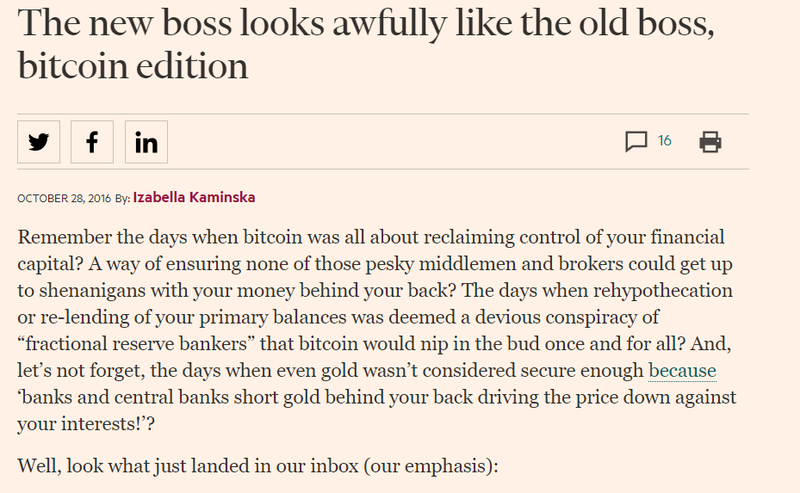 In the above excerpt, the editor of FT Alphaville publishes an interesting e-mail that she had received (more than likely information that was never meant to see the light of day). This article was posted in full because the information contained within is something that won’t be found on any public listings or in publicly available resources. 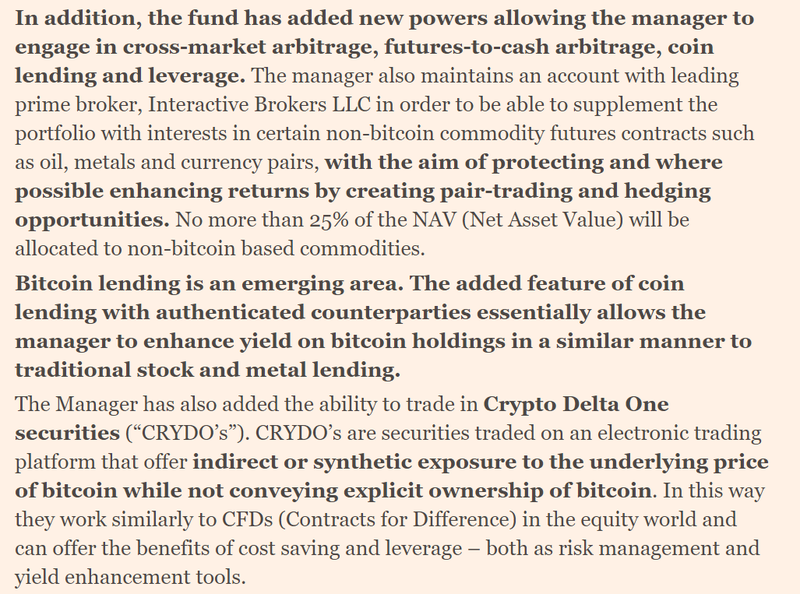 That’s important, because the ‘Delta One’ nature of the ETFs (disguised and listed as an ETN), are more than likely what made the SEC suspend trading on the Bitcoin Tracker One (hence the one in the name) and the Ethereum Tracker One products. Before we continue to explain this though — it’s important that we catch everyone up to speed on what a ‘Delta One’ is and what it involves. 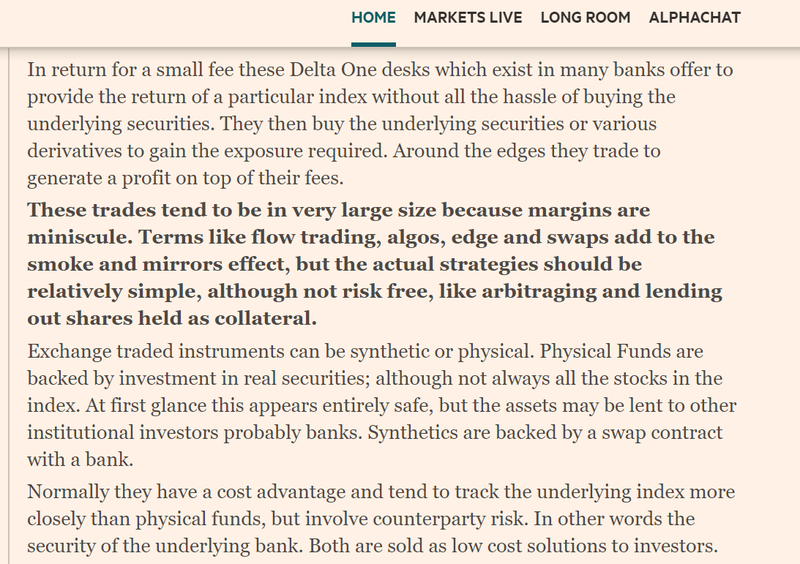 What is ‘Delta One’ [in finance] and What Does it Mean? There are several articles online that will give an overview/summary of the term in a financial context, but there are probably few better to explain the potential dangers, underlying risks and complexities as this article in Alphaville, written by the same editor (five years earlier). The risk inherent in these products is massive — especially if there is no known financial information about the companies in question (and there isn’t). 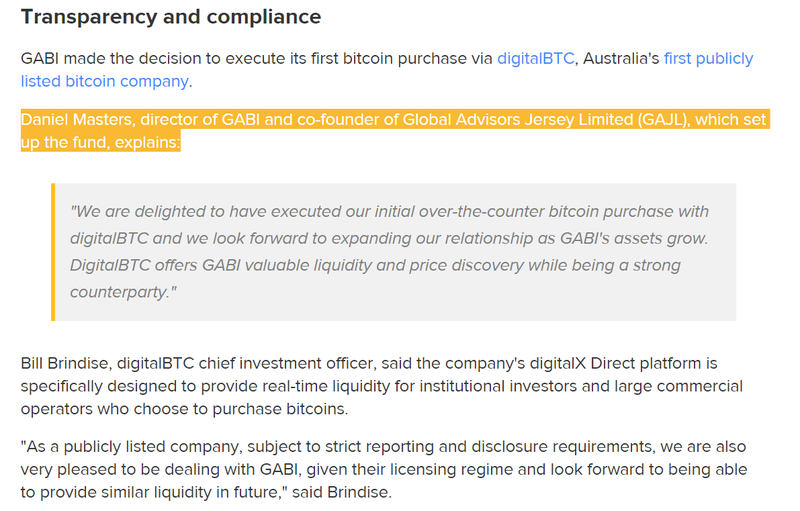 Without verifying the liquidity that Coinshares/GABI has on the backend, their ability to ensure that they are appropriately hedged so that investors do not risk all of their money, and that there is no rampant market manipulation and fraud going on, on the back end — it would be preposterous to even speculate that the SEC would allow this product to continue trading on its exchanges. 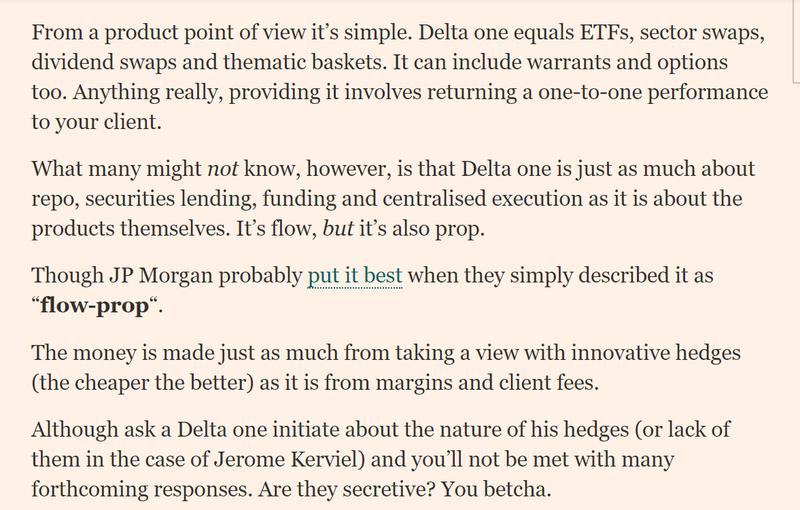 Now, if you’re wondering who/what this firm may be collaborating with in the space (they’re not a lone wolf), one needs to look no further than the underlying exchanges for which its price is based on for these products (since the delta = 1), as well as the firm’s partners. 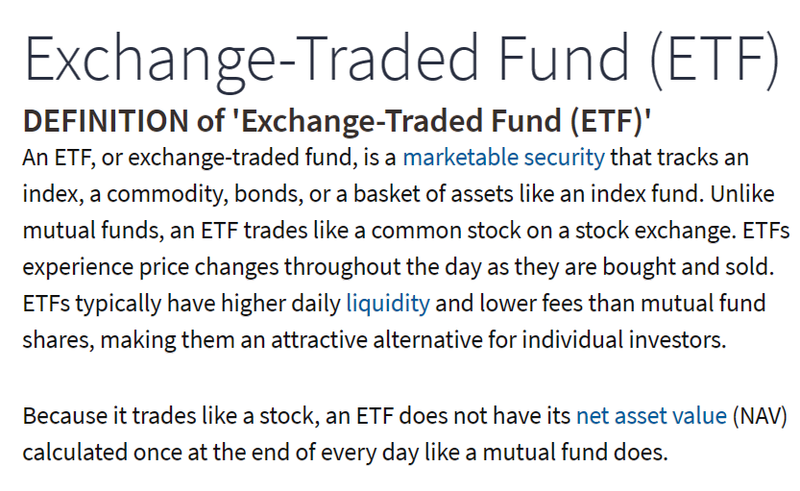 So far, we know who the custodial agents are, but we have no clue which underlying indices/exchanges are used to generate the spot price for the ETFs that they were offering on the stock market. 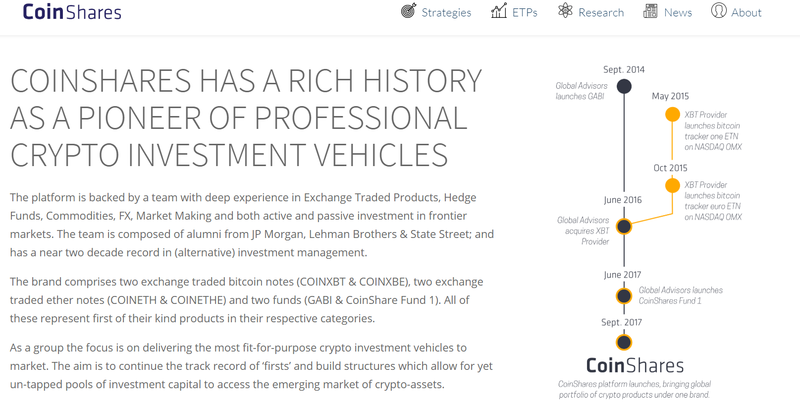 The above picture is excerpted directly from the Coinshares website itself. It’s worth noting that two of these exchanges are Digital Currency Group acquisitions. We know from our prior research above that the same folks that run GABI/Coinshares have acquired XBTproviders; so this statement only tells us that the people that are issuing the certificates are the ones that are verifying the certificates — which is circular in logic. This fact was probably another major point of contention for the SEC. 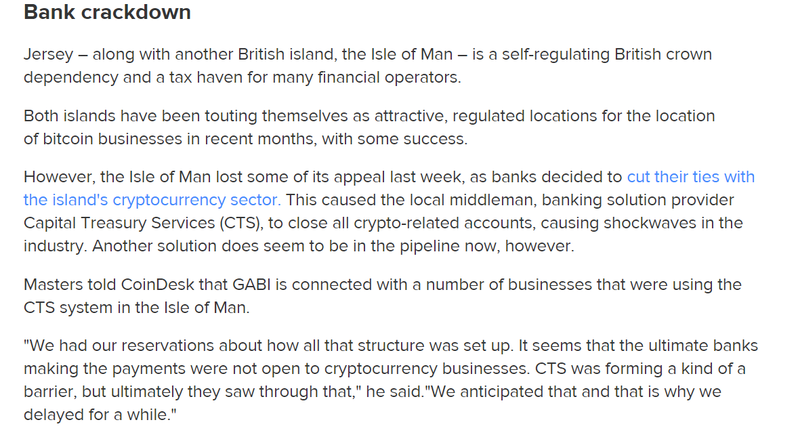 While there may not be anything inadvertently nefarious about the actions of Coinshares/GABI, the obfuscation of the fund/fund roles, the personnel involved with their erection, peripheral relationships with other portions of the space, as well as lack of concrete financial information/filings with the SEC or other regulatory bodies, it is hard to call this a legitimate entity. 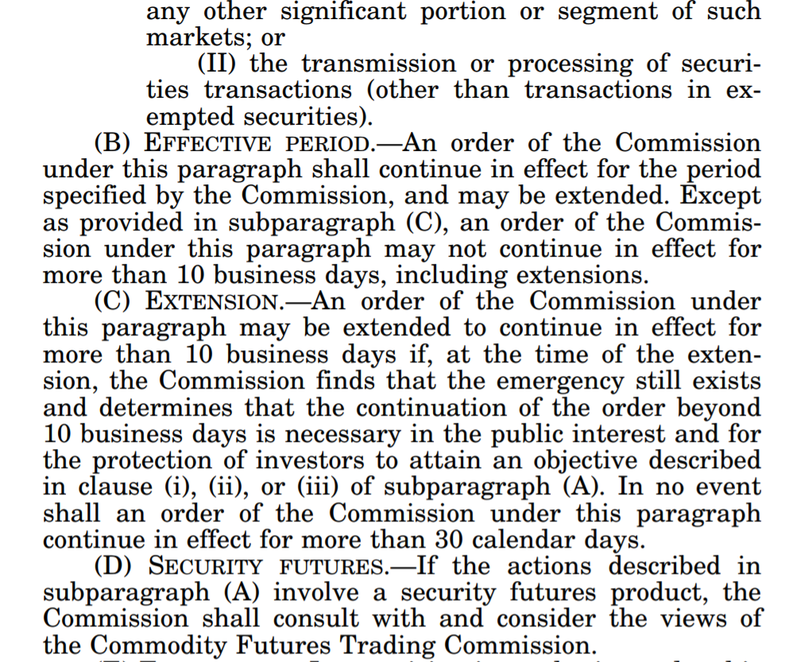 When considering this information within the context of the SEC’s recent suspension of trading in these ETFs, the space should be extremely wary of these entities (specifically Coinshares + GABI) moving forward in the future. Perhaps the best solution in this space would be to add more ‘decentralization’ in the form of unrelated parties.